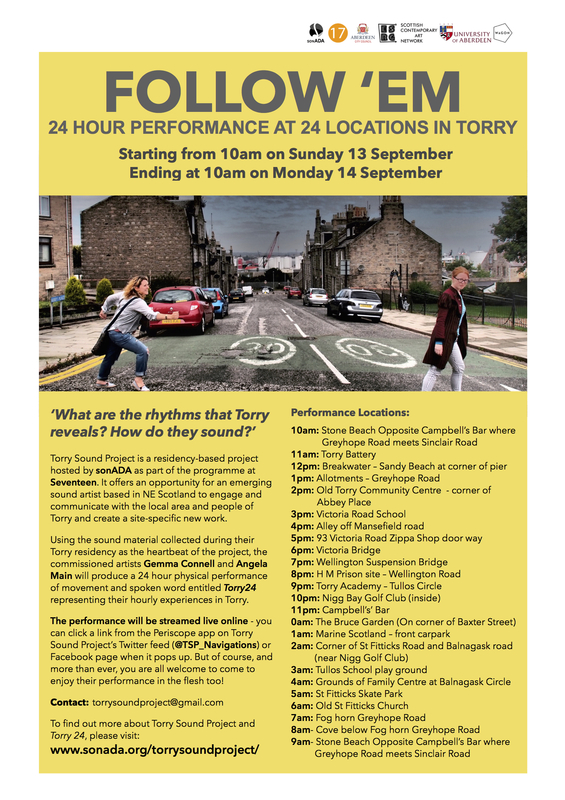 We are delighted to announce that now the 24 locations for the 24 hour performance in Torry have been confirmed! The performance will take place on Sunday 13th September – starting from 10am on Sunday 13th September and ending at 10am on Monday 14 September. To follow ‪‎Torry 24‬, there are mainly two ways to do that. The performance will be streamed live online. You can click a link from the Periscope app on Torry Sound Project’s Twitter feed (@TSP_Navigations) or Facebook page when it pops up.